Dubai, UAE: Cisco announced that together with Gulf Business Machines (GBM), it will jointly showcase its solutions built around the Apple enterprise product portfolio at GITEX Technology Week 2016, being held at the Dubai World Trade Centre from October 16-20. As Cisco’s exclusive channel sponsor at GITEX, GBM will educate visitors on how Apple’s business strategy, consultancy and implementation services can help regional businesses improve mobile productivity, enhance mobile efficiency and be responsive to customer interactions. “Businesses everywhere and in every category are reinventing themselves. They are becoming digital, software-driven and mobile-centric. Apple and Cisco are responding to this need by creating the very best app and voice experience for iPhone and iPad on corporate networks. 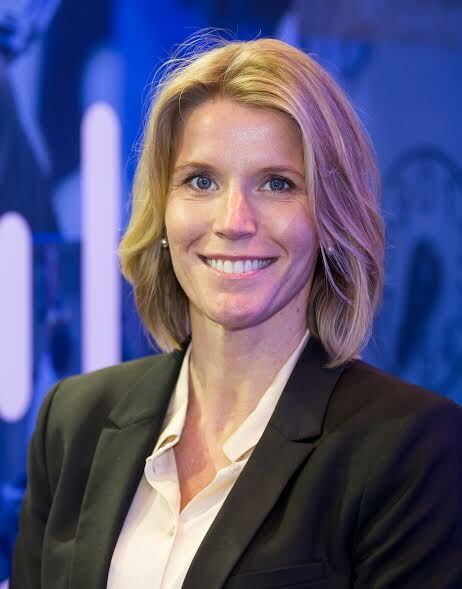 With new features in iOS 10 and the latest network software and hardware from Cisco, businesses can leverage their infrastructure to deliver a great user experience,” says Frida Kleimert, Head of Channel and Commercial Sales, Cisco UAE. As part of their GITEX plans, Cisco and GBM are focusing on three areas for Apple solutions: networking, voice, and collaboration. The first set of offerings include optimizing Wi-Fi connectivity, prioritizing business apps and integrating voice and collaboration with Cisco Spark. GBM has been incorporating Apple products into its solutions, with a view to providing large enterprises and corporate customers with integrated mobility solutions. GBM can offer products from the Apple enterprise solution that includes the full suite of hardware, software, services and support to bolster the mobility capabilities of organisations. GBM was appointed as the first Apple Authorised Systems Integrator in UAE in May this year. “In the current environment of relentless transformation around business models and enabling technologies, enterprises want a much broader choice of solutions and platforms, where the mobile customer interface needs to be more versatile and adaptable for business needs. This was a key reason why GBM aligned with Apple enterprise solutions and mobility platforms to provide its enterprise customer base, the choice of which mobile platform to build their business models upon,” explained Hani Nofal, Vice President, Intelligent Network Solutions, Security and Mobility, GBM. “We have full confidence in the versatility of GBM’s enterprise solution architecture and their ability to look down the regional road map and anticipate the platforms that can benefit their current and future enterprise customers. As a Cisco Gold Partner, GBM solutions leverage Cisco cloud, data centre, networking, and security technologies to provide the best of breed digital transformation opportunities for customers in the region. We are now entering exciting times and the role of the vendor-partner relationship has never been better, stronger and more dynamic than before,” said Ms. Kleimert. Other than the Apple enterprise and mobile platform, Cisco and GBM will be showcasing smart technology solutions that include collaboration, security and mobility at GITEX Technology Week 2016. They will also demonstrate key business architectures and industry-focused use cases that are driving business outcomes in industries such as hospitality, transportation and aviation. GBM is a Cisco Gold Partner and was awarded Middle East Partner of the Year at the most recent Cisco Global Partner Summit. Senior executives from Cisco and its partners will be available at their stand number Z-B40 at Zabeel Hall, Dubai World Trade Centre. Founded and operating in the region since 1990, GBM is the number one provider of IT solutions, leveraging industry leading technologies to drive real business results for clients. GBM is the sole distributor for IBM – excluding selected IBM products and services – throughout the GCC, apart from Saudi Arabia. GBM’s momentum was further enhanced in 1999, when the company secured the Cisco portfolio. Most recently GBM was named as the Apple Authorised Systems Integrator for the UAE. GBM offers an extensive range of IT infrastructure, solutions and services ranging from consulting, resource deployment and integration to after-sales support. The company has offices in the UAE (Abu Dhabi, Dubai and Sharjah), Kuwait, Oman, Qatar, Bahrain, and Pakistan. Continuously recognized by its international partners, this year GBM has been awarded as IBM’s Top Business Partner, Cisco’s Middle East Partner of the Year, and Channel Customer Satisfaction Excellence, the highest distinction a partner can achieve within the Cisco Channel Partner Program.